Outbidding two challengers, a Japanese private collector plunked down $13.7 million for a D-flawless 88.22-carat oval diamond at Sotheby's Hong Kong yesterday. He gifted it to his eldest daughter and named it "Manami Star" in her honor. 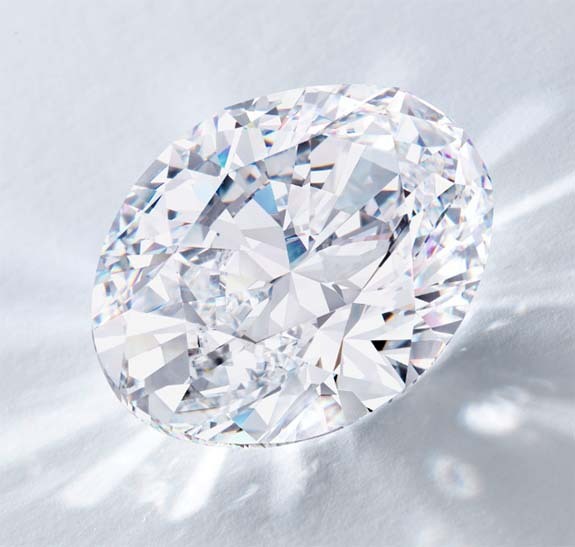 The diamond had been described by the auction house as "perfect according to every critical criterion." The collector, who remains anonymous, told Sotheby's that the gem first caught his eye while it was on exhibit in Japan during a pre-auction promotional tour. Given the great interest in the "perfect" diamond, the hammer price easily surpassed the pre-show high estimate of $12.7 million, making the Manami Star the top lot at the Magnificent Jewels and Jadeite auction. About the size of a small egg, the 88.22-carat faceted diamond was cut from an elongated 242-carat rough stone discovered at the Jwaneng mine in Botswana. The oval shape was chosen to maximize the carat weight. Sotheby’s noted that the gem is one of only three oval diamonds larger than 50 carats to have appeared at auction over the past few decades. It's also the largest perfect oval seen at auction in the past five years. The diamond is rated Type IIa, the most chemically pure classification. Diamonds of this quality display exceptional optical transparency and make up less than 2% of all gem-quality diamonds. 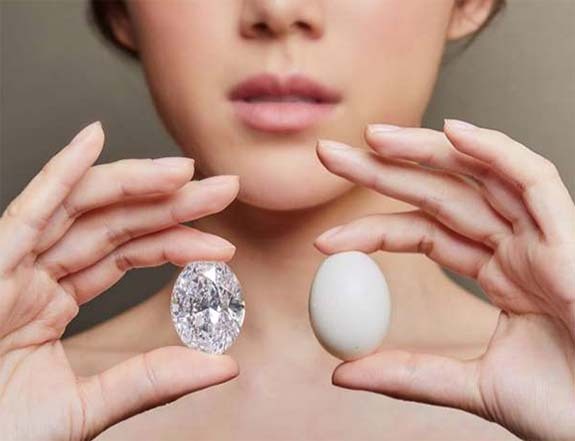 The Japanese buyer may have been influenced by the double-eights in the carat weight of the stone. Eight is considered a lucky number in Asian culture and “88” is believed to bring good fortune in abundance. “We were thrilled to handle a diamond of such rarity, which now takes its place in the roster of top white diamonds to have come to the market here at Sotheby’s Asia," said Patti Wong, Sotheby’s Chairman in Asia. "At 88.22 carats, this lucky stone now carries the name of the fortunate child whose father has chosen to give it her name. A happy moment in the journey of one of the earth’s greatest, oldest treasures." Credits: Images courtesy of Sotheby’s.